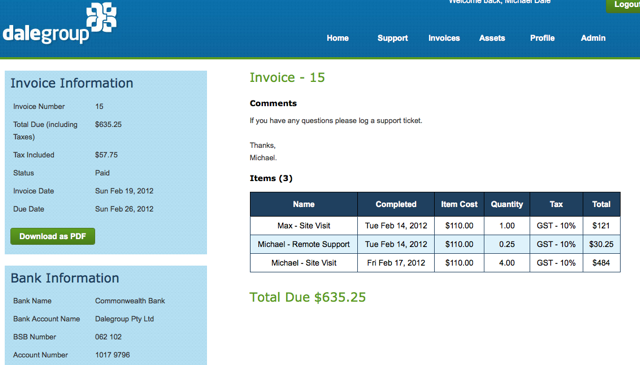 Invoicing is just about complete! There are two more things that are not finished yet, PDF invoices and emailing the invoicing. Both will be pretty easy. There were a few complex SQL queries to handle the tax calculations (and to have the total on the view all invoices page). Here is what it looks like (click to see full size).